This very elongated painting is not quite finished, it’s going to have some details in real gold, and as soon as I am back home I will make a better photo too, but as I am stuck for now this is what it is! 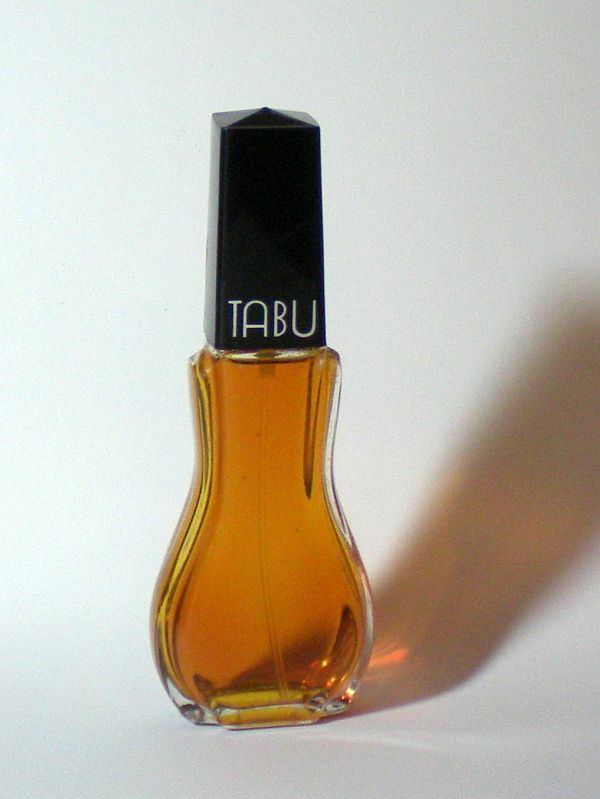 TABU is a perfume, very old, very sensual, very naughty! 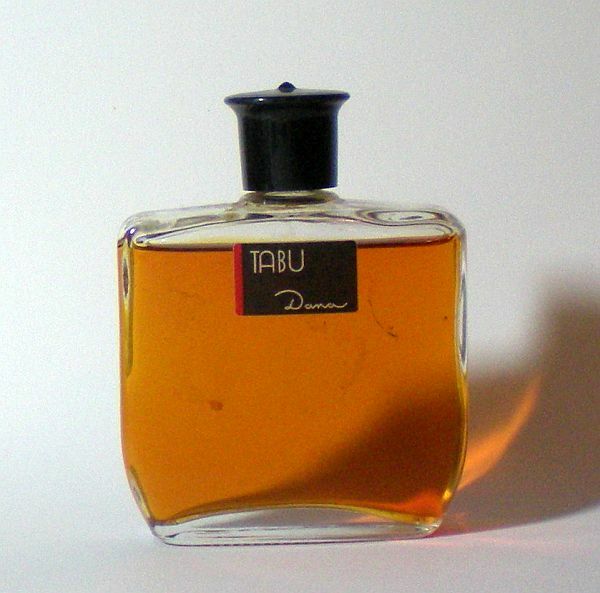 TABU was the first fragrance produced by the house of Dana. While Dana is now known for rather nasty cheap drugstore fragrances, it used to be a very good house, which has produced many lovely fragrances in its illustrious past. TABU was designed by Jean Charles in 1932. 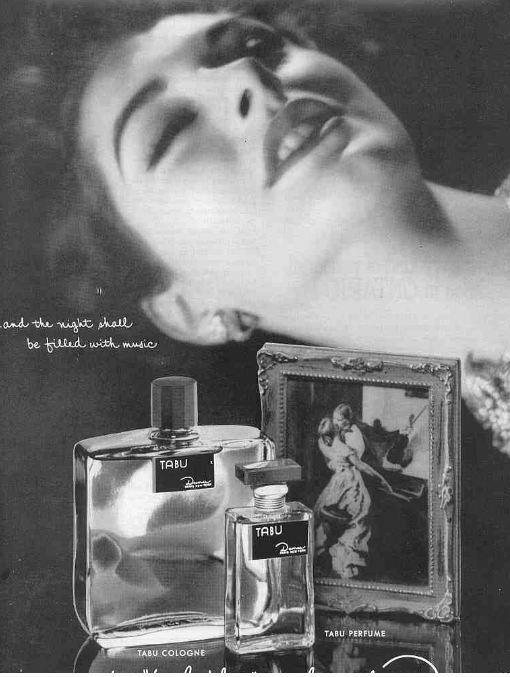 It was meant to be sensual and shocking, the advertisements called it ‘The forbidden perfume”! It is a ”Floral Oriental” it’s very spicey, the topnotes are Bergamot oil, coriander, neroli, Orange, spice notes, middle notes are Clove bud oil, clover, jasmine, narcissus, oriental rose, ylang ylang, basenotes are amber, benzoin, cedar, civet, moss, musk, patchouli, sandalwood, vetiver. major notes/accord Patchouli, cloves, cinnamon, orange, orange blossom, civet. (These notes were given by a member of Basenotes) (And there definitely is lots and lots of patchouli). Although it is much older I do get a bit of hippy-vibe from it. Must be the Patchouli effect. I am not quite sure if, or how much, has been changed in the formula over the years, a fragrance of this age will most probably have been reformulated several times, (stuff like civet is forbidden now) and Dana doesn’t make the quality it used to. Some perfumistas revile the version currently on sale. 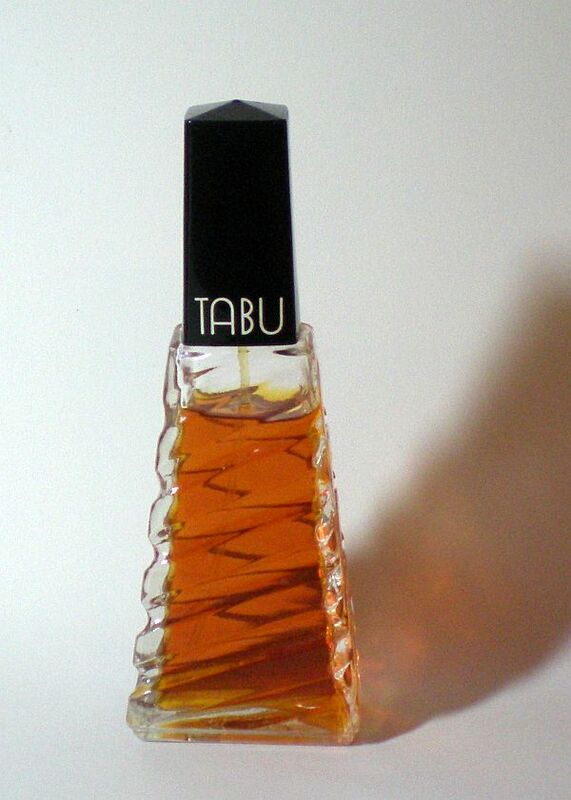 However, it is quite easy to find vintage bottles of TABU. And actually, it is a Cologne rather than a perfume, but don’t let that fool you! It’s potency is a lot stronger then most perfumes!!! Apply with care and extreme subtlety in a well ventilated space. From now on I will also post the pictures of the vintage perfumes I have been able to collect myself, and which I plan to include in the Perfume Project Exhibition. I got a lot of Tabu Bottles in one fell swoop as a job lot in auction! There are more TABU paintings to come as I find it quite inspiring. Lying on top of a skin only white tiger! It portrays a woman of strong personality no doubt.Tabu sounds good! 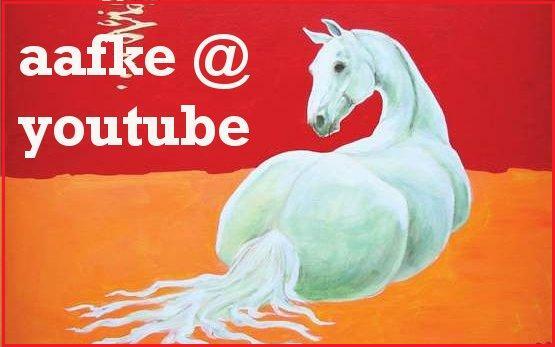 Awesome painting,Aafke! I’m amazed as always! No, it’s not me! It is freely based on a vintage magazine advertisement for TABU. I don’t know when they changed the Tabu formula but it definately does not smell as good as it did. Where do you find vintage Tabu? Look on ebay, they have lots of vintage Tabu, and it’s usually quite cheap.